If you’ve ever been on a video call and heard someone say, “Let me email everyone a draft so I can walk you through it,” you know how quickly a virtual meeting can lose momentum and focus. The presenter has to wait until everybody receives the email and opens the file, people start jumping ahead in the document—and everyone just got an excuse to check their email. Team collaboration is so much more effective when everyone is looking at the same thing. 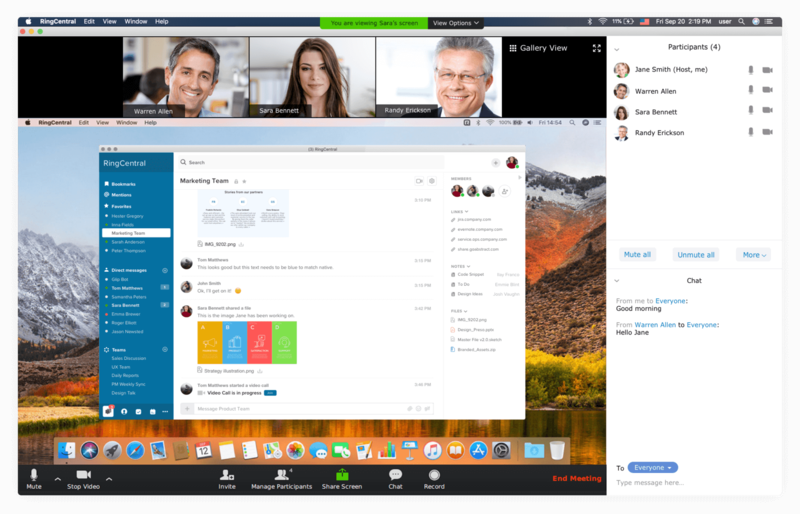 That’s why RingCentral’s free team messaging and collaboration app lets you host video calls where anyone on the call can share their screen with the team. With the screen share feature, you can review files, web pages, or other content with your team and ensure everyone is looking at the same thing at the same time. No guesswork. No misunderstandings. You can even mark things up, pass the annotation feature back and forth so your teammates can add their own notes, and record the whole session to make sure not even one great idea gets forgotten. Glip's starting plan provides up to 500 minutes of video sharing for free! Glip’s screen share feature is also a great tool for hosting brainstorming sessions with your team where everyone gets together to throw ideas on the wall and see what works. 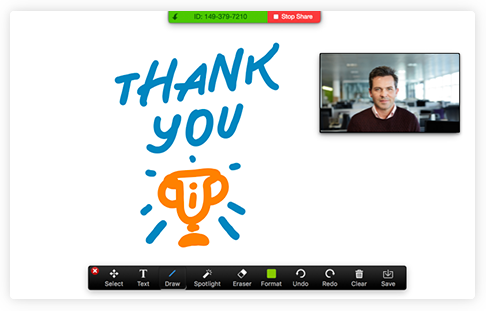 With the whiteboard feature, everyone on the video call can view and write their ideas on the shared board. And you can save your whiteboard on Glip so anyone can review it later. Take the distractions and misunderstandings out of your virtual meetings and get everyone on the same page. You’ve probably heard that eyewitness testimony is unreliable, because different people can see, interpret, and remember the same event very differently. With that in mind, let’s talk about how a screen sharing feature can add big value to your meetings. Say you’re hosting a conference call with your teammates, who are calling in from different locations. You want your team’s input on something you’ve drafted—a slide for a presentation, a customer contract, maybe a budget for an upcoming event, whatever. How will you share the file with everyone on the call so you can go over it with them? Should you email the file to everyone? You could, but that approach has drawbacks. 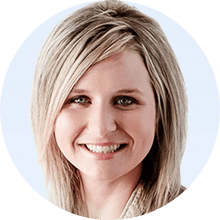 First, you’ll have to break the momentum of the call while everyone waits for you to grab the file, drop everyone’s email address into a new message, send it, and wait until they all receive it and pop open the file. A third problem is that by sending out copies of a draft that isn’t finalized, you might have version-control issues down the road, as your team mistakenly refers to or shares this old version with colleagues later. And the fourth problem might be the biggest; now you’ve opened the email can of worms. People won’t be able to resist scanning the rest of their new emails, opening messages, and jotting replies. You might never regain your team’s undivided attention. How about just describing the file to your team? Yes, you could simply explain to your team what you’ve been working on without sending it to them. That would definitely let you keep the momentum of the call flowing, and it would keep your team from being distracted by having to jump into their email. But this brings us back to the eyewitness problem. If you’re just telling your team what you’re working on (or what you want them to work on), rather than showing it to them, there’s a good chance different members of your team will hear and interpret what you’re saying differently. That can lead to confusion and teammates working on the wrong things, because they couldn’t fully visualize what you were describing. Glip is a collaboration tool, after all. So when you share your screen, you and anyone else on the call can mark the file or page up in real time. Draw circles around the cool stuff (or the really awful stuff you want to get rid of). Add some text notes so your teammates can see it. Use the “Spotlight” tool to draw everyone’s attention to a certain part of the screen. When you and your team have annotated the heck out of your file or whatever’s on your screen, you can keep a record of your hard work by saving the annotated file. You can drop this file right into your RingCentral app so the team can view it anytime. And don’t worry, the real-time collaboration work you do to mark up the file when screen sharing won’t affect the original file at all. What happens if you’re sharing your screen in the RingCentral app and as your team is annotating your file one of your colleagues says something brilliant? What if simply being able to make notes on the screen in real time gets your team’s creative engine revving? (As Glip’s users tell us, this happens all the time.) What if great ideas and insights are bouncing back and forth nonstop on the call? If your team isn’t actually adding all of these ideas as text notes with screen share, can you still capture them? You bet you can! Glip lets you record part or all of your video calls, which means you can make a record of your screen share brainstorming session and return later to all of the creative ideas that session generated. Turn our virtual whiteboard into your team’s online brainstorming wall. 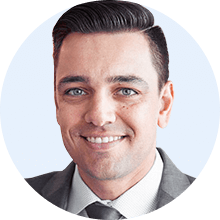 Glip’s free team messaging and collaboration software is all about getting rid of the friction teams face when trying to work together, especially if they’re not all in the same place. 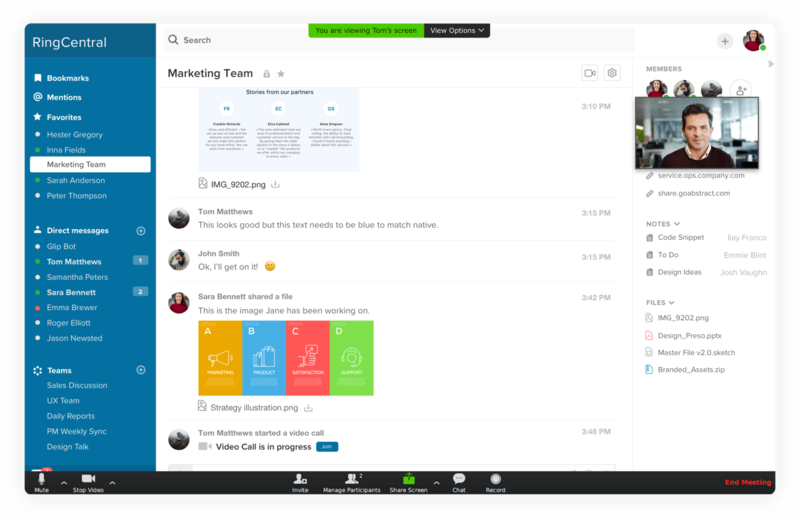 That’s why we’ve put so many of the communication and collaboration tools teams use every day into a single online platform—real-time chat, file sharing and storage, a team calendar, a shared note-taking app, video calls, screen sharing, etc. The less your team has to jump in and out of different software tools to get its work done, the more efficiently you can collaborate. But what if your team just wants to brainstorm to get everybody into the same room and throw a zillion ideas on a whiteboard? And what if it would be nearly impossible to actually get everyone on your team into the same room—or even the same city? With Glip’s free screen share feature, you can get a virtual whiteboard session underway in seconds. Step 1. Start a free Glip video call with your team. Step 2. Click the Share Screen button and then select the Whiteboard option. Step 3. Actually, you were really done at step 2. Now everyone will see a completely blank whiteboard ready for your team’s ideas. (Exciting, right?) Start brainstorming! Why whiteboarding through Glip's screen share feature can be such a valuable team exercise. The informal nature of a whiteboard can unleash more creativity. Whiteboards are highly effective collaboration and brainstorming tools because they’re so informal, so welcoming. You just grab a colored marker (it’s like being back in school!) and jot a thought on the board. Don’t like what you just wrote? No worries, you can erase it just as easily. When you set up your team brainstorming session using the virtual whiteboard in Glip’s screen share feature, here’s the signal you send to your team: “No pressure. We don’t expect fully formed plans here. 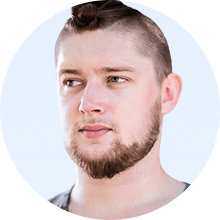 Just scribble some ideas, and we’ll see what works.” And a signal like that is just what your team needs to quiet their egos and inner-critics and unleash their real creativity. Real-time idea sharing spurs more ideas (and more still). One of the coolest things that happens in whiteboard meetings is that someone on the team jots an idea on the board, and that triggers a great insight from another team member, which sparks a brilliant insight from someone else, and on and on. It’s as though the team is operating as one creative unit, and once they get on a roll, the ideas just keep getting better and better. What’s great about Glip’s screen sharing tool is that you can hold these virtual whiteboard meetings with your team as often as you’d like, and you can save the actual whiteboard and record the whole video session every time. In other words, you can create an environment for lightning to strike and capture it when it does. Even your team members on the go can join your whiteboard session. In a whiteboard meeting based in an actual conference room in your office, you’ll have to do without any team members who are traveling or out in the field. Even if they could join by phone, they can’t see what their colleagues are jotting on the whiteboard, and they certainly can’t add any notes to the board directly themselves. So, those in-person brainstorming sessions would be limited by the people who could actually make it to the conference room. But with the virtual whiteboard session you host using the Glip screen share feature, even your mobile employees can be full participants from their smartphones or tablets—watching their coworkers through the video call, watching in real time as notes go up on the whiteboard, and even adding ideas themselves. Virtual whiteboarding is a great way to build chemistry among remote teams. Remember, Glip’s whole reason for being is to make it easier than ever for teams to collaborate and communicate, even across great distances. A virtual whiteboard session, because it’s so collaborative and informal, is a great way to strengthen the bonds among your team, especially if they’re located in different places and don’t get enough chances to hang out in person. 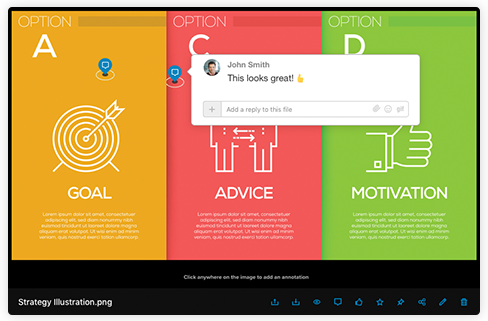 So, with our screen share virtual whiteboard feature, you’ll get the full benefit of those creative brainstorming sessions with your team and at the same time you’ll be helping to build a stronger team.